I so love this horse, it almost looks like it is waiting for a loved one that might never come back. 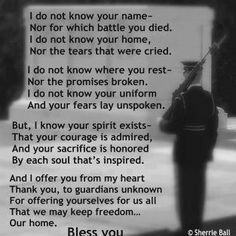 Wonderful poem for Memorial Day. Elizabeth Croston Buckalew: He's one of my favorites! I LOVE this. Wanna reach out to pat! Elizabeth Croston Buckalew: I'm so glad you do, Bonnie! I wish you could! Elizabeth Croston Buckalew: Waiting for something... since I didn't have any carrots! I hope your day was nice! What a beautiful horse - and a beautiful image in a fine series! I saw some similar horses in The Netherlands. Elizabeth Croston Buckalew: Isn't he - I love him! Thank you so much, Philine! Elizabeth Croston Buckalew: He is, indeed. Sturdy, American Paint. Elizabeth Croston Buckalew: Yes, he is... yes, they are. What a fine looking horse. I will try and remember those beautiful words to use in our church newsletter when we have our Remembrance Sunday in November. Elizabeth Croston Buckalew: Yes he is. It's a beautiful poem, isn't it. I can just imagine this horse carrying perhaps a Sioux Indian chasing the US Cavalry. Fine words, too, to accompany the image. Elizabeth Croston Buckalew: Me too, Alan. I do love that poem. Elizabeth Croston Buckalew: Isn't he lovely! Eye-catching markings that this white horse has!! Great find! I love its mane blowing in the wind. Elizabeth Croston Buckalew: Isn't he beautiful! Thank you!